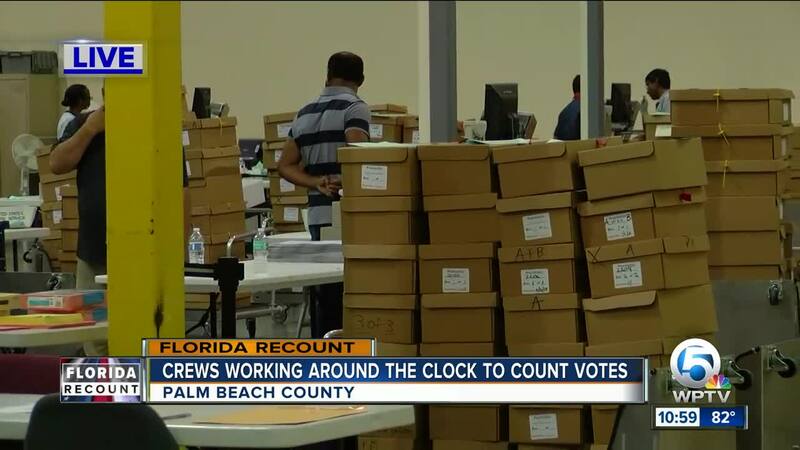 Palm Beach County is in the middle of recounting ballots and trying to meet the state’s Thursday deadline, but the supervisor of elections says technology could keep that from happening. 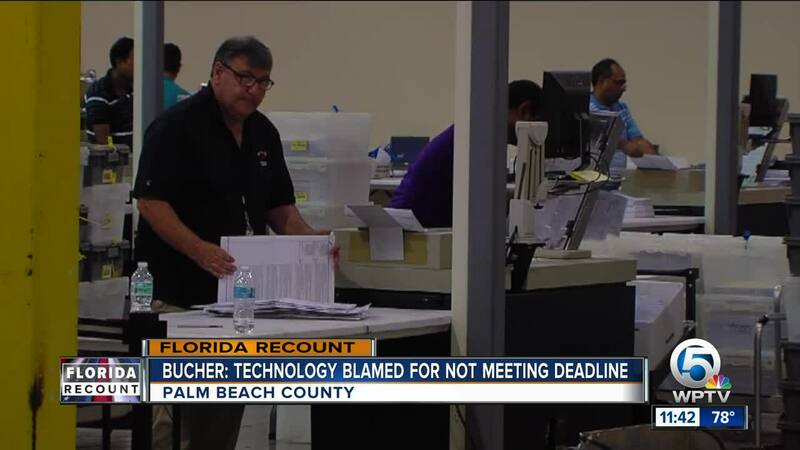 Supervisor of Elections for Palm Beach County Susan Bucher said technology will be to blame if the county is unable to meet Thursday's state recount deadline. 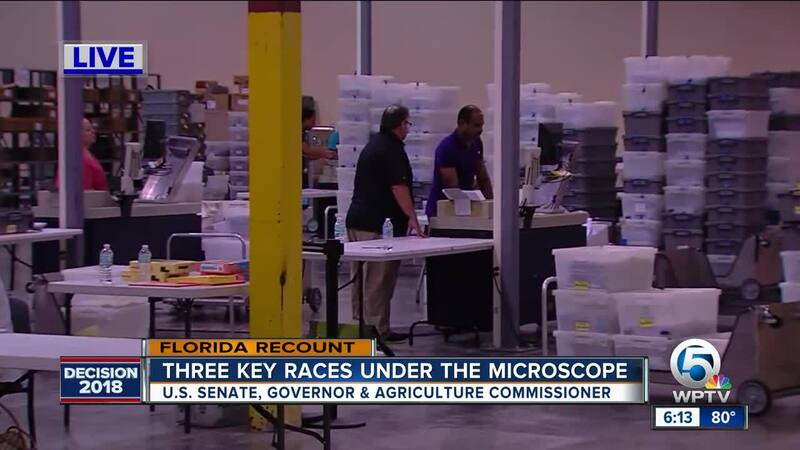 Recounts are now required in three key races: U.S. senate, governor and Florida agriculture commissioner, along with house of representatives District 89. However, the technology used in Palm Beach County only allows for one race at a time to be reviewed. "We asked the vendor if we could get, we would fly equipment in from anywhere in the United States and they do not have any other equipment. This is all the equipment, they don't make it anymore, nobody has spares," said Bucher. 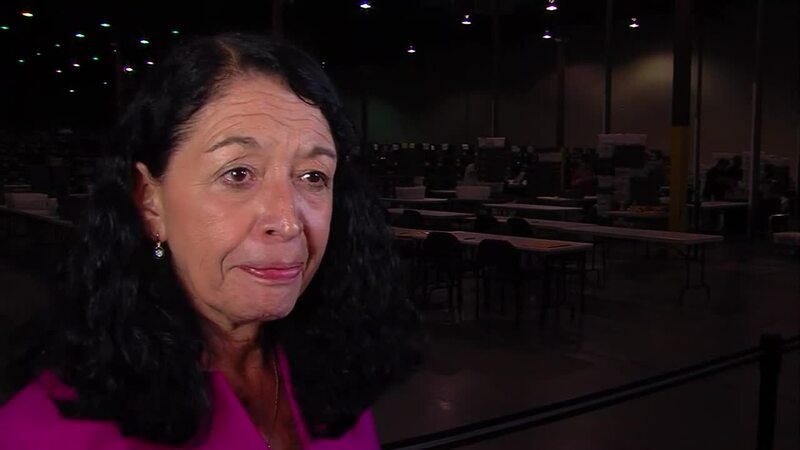 Bucher says she has raised concerns over outdated technology and the possibility of having to recount multiple races at once to state officials for the past 10 years without anyone showing concern. “Frankly it’s just irresponsible of the state of Florida to certify equipment that doesn’t meet the intent of the law,” said Bucher. 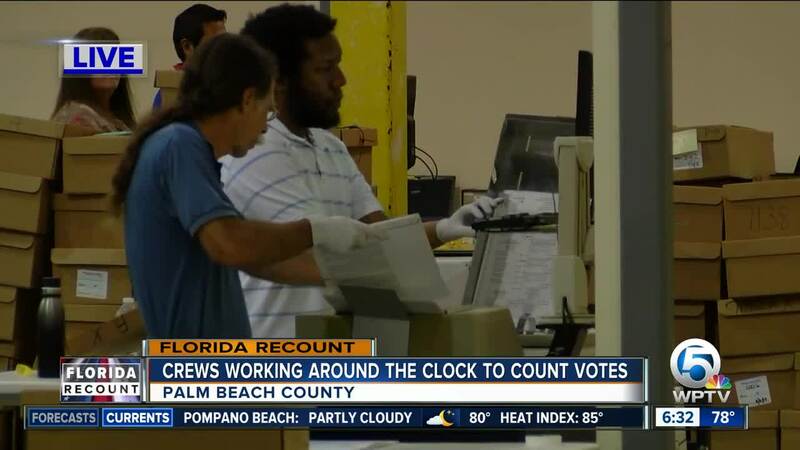 Florida law requires recount numbers to be in by Nov.15 and certified by Nov. 20. It’s a time frame that the spokesperson for the Palm Beach County Democratic Party calls unrealistic. “The end result will be another bunch of lawsuits, probably in federal court and civil rights violations because peoples votes have not been counted,” said Palm Beach County Democratic spokeswoman Anne Gannon. Meanwhile, the Republican Party of Palm Beach County is questioning how other counties in the state aren’t facing similar problems in their mandatory recount process. “We have 65 out of 67 counties that have accomplished their job under the law. There’s not a problem with the law, there’s a problem with the competence and the equipment,” said chairman of the Republican party in Palm Beach County Michael Barnett. Despite blame being tossed around, the one thing everyone can agree on is that they are looking forward to the recount being over with. “I have not been home. My staff has been here. We have worked as hard as we know how. It is our responsibility to get it done, and we will do everything in our power to make that happen,” said Bucher. As of Sunday night, Bucher announced a possibility of the U.S. Senate race meeting Thursday’s deadline. However, she said it was still unclear if any of the other races would be able to do so. Bucher says if they do not meet the deadline for one or more of the races, they will have to use the results they sent to the state on Saturday. Staff are working 12-hour shifts, recounting the votes around the clock.